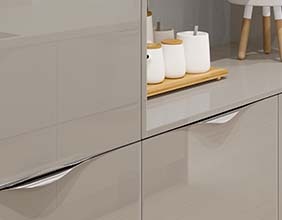 Inline features an integrated handle trim that is available in an aluminium finish, or curved design to suit different styles. 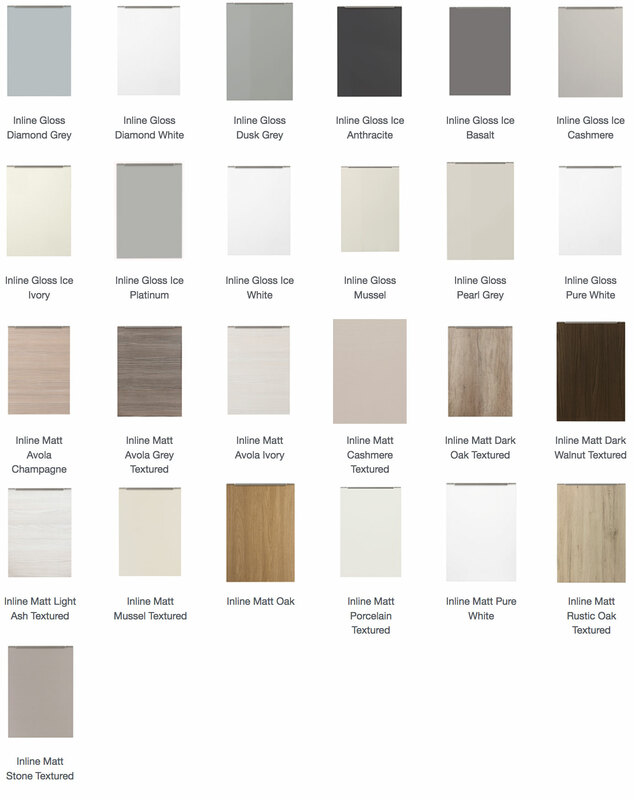 Featuring matt and gloss styles, as well as textured and wood grain finishes, the collection offers a variety of contemporary colours the perfectly complement the minimal modern kitchen style. For those wanting a linear, handleless style without forgoing handles all together, Inline is ideal. 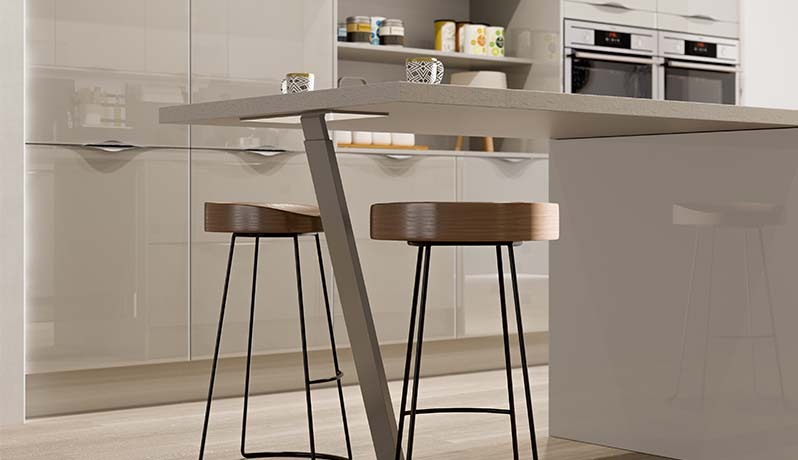 It blends clean lines and European kitchen style and is perfect if you want a stylish, modern kitchen. 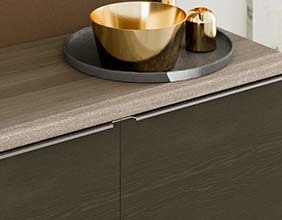 Why not try a contrasting open display unit, like the yellow featured here? Create a show stopping kitchen design to showcase the latest must-have kitchen gadget?